I am currently a research fellow in the Department of Engineering Science at the University of Oxford, and a member of Torr Vison Group (TVG) working with Prof. Philip H.S. Torr. Before that, I received my B.S. degree and Ph.D. degree from Huazhong University of Science and Technology (HUST), under the supervision of Prof. Xiang Bai. I was a research scholar at the University of Texas at San Antonio (UTSA) supervised by Prof. Qi Tian, and with the Computational Cognition, Vision, and Learning (CCVL) research group at the Johns Hopkins University (JHU) supervised by Prof. Alan Yuille. My research interests span computer vision and machine learning with a series of topics, such as 3D shape recognition, image retrieval and classification, person re-identification and medical image analysis. In particular, my current research focus is graph neural networks and adversarial learning. I serve as an Associate Editor of Pattern Recognition. 2019.04.17: one paper about object detection (CenterNet: AP 47.0 on MS-COCO test-dev) is available in arXiv. 2019.04.12: one paper about multi-organ segmentation is available in arXiv. 2019.04.01: one paper about adversarial examples is available in arXiv. 2019.03.05: the CODE of “Learning Attraction Field Reprensentation for Robust Line Segment Detection” is available. one paper about adversarial examples. 2019.02.08: the CODE of “Adversarial Metric Attack for Person Re-identification” is available. 2019.02.02: I will serve as a reviewer for ICCV 2019. 2019.02.01: the CODE of “Learning Transferable Adversarial Examples via Ghost Networks” is available. 2019.01.31: one paper about adversarial examples is available in arXiv. 2019.01.25: one paper about graph neural networks is available in arXiv. 2019.01.03: I am appointed as an Associate Editor (AE) of Pattern Recognition. 2018.12.29: one paper about deep reinforcement learning is available in arXiv. 2018.12.25: the CODE of “Learn to Interpret Atari Agents” is available. 2018.12.23: I will serve as a program committee member for IJCAI 2019. 2018.12.09: one paper about adversarial examples is available in arXiv. 2018.12.05: one paper about line segment detection is available in arXiv. 2018.10.13: one paper about object detection is accepted by TPAMI (PDF | CODE). 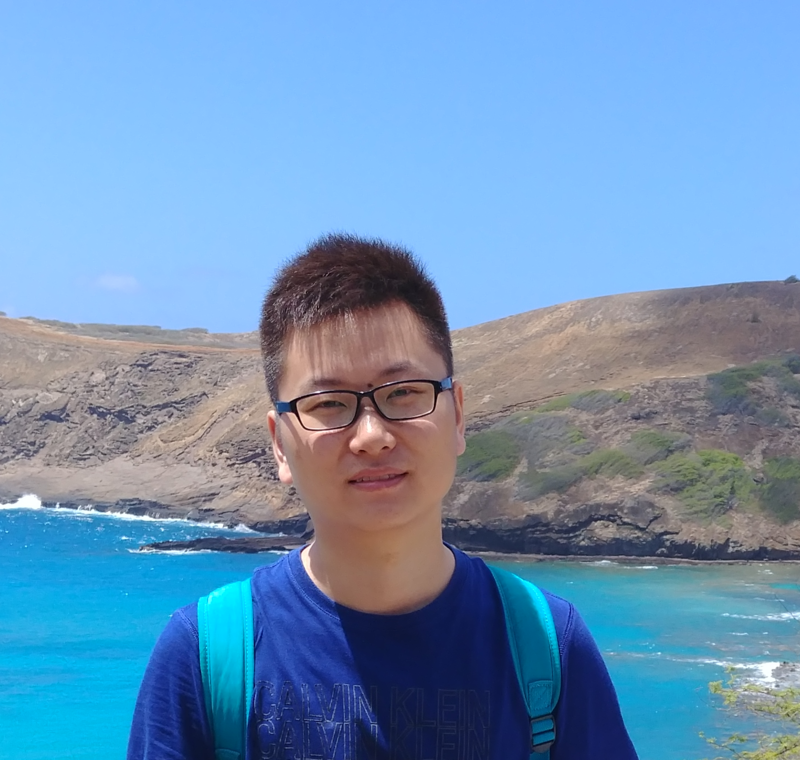 2018.09.22: I will serve as a reviewer for CVPR 2019. 2018.08.31: one paper about 3D multi-organ segmentation is accepted by WACV 2019 as an oral presentation (PDF). 2018.08.29: I join the University of Oxford as a research fellow. 2018.07.30: one paper about image and 3D shape retrieval is accepted by TIP (PDF). 2018.07.03: one paper about person re-identification is accepted by ECCV 2018 (PDF). 2018.06.21: I will serve as a program committee member for AAAI 2019. 2018.06.01: one paper about object retrieval is accepted by PR (PDF). 2018.05.25: I join the Inception Institute of Artificial Intelligence as a research scientist. 2018.04.13: one paper about object retrieval is accepted by TPAMI (PDF | CODE). 2018.03.06: one paper about 3D shape recognition is accepted by CVPR 2018 (PDF). 2018.02.13: I will serve as a reviewer for ECCV 2018. 2017.09.14: I will serve as a reviewer for CVPR 2018. 2017.07.19: one paper about object retrieval is accepted by ICCV 2017 as an oral presentation (PDF). 2017.03.18: one paper about reranking-based person re-identification is accepted by CVPR 2017 as a spotlight presentation (PDF). 2017.02.04: one paper about object retrieval is accepted by AAAI 2017 as an oral presentation (PDF). © 2019 Song Bai. Powered by Jekyll & AcademicPages.